Is Mildew Starting Trouble in your Landscape? Is Mildew Starting Trouble in your Landscape? Mildew can affect your plants if you don’t properly protect against it. It can spread all around your garden and landscape pretty quickly, making your once beautiful yard into a disaster. So, how can you protect your yard against the spread of mildew? Well, we’ve got the scoop this week. So, ready to check it out? Mildew can grow when the weather is mild, the humidity is high, the sunlight is scarce, and your plants are dry. 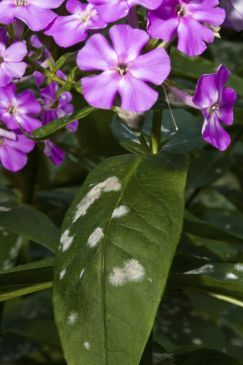 You can tell that the mildew party has begun on your plants when you see little white or grey spots beginning to form on the leaves. This can also spread to the stalk, petals of flowers, and beyond if you don’t jump on it. Now, the infection can spread quickly if you don’t act quickly, so try to avoid setting up the perfect climate for mildew to appear. Make sure your plants are planted with enough space for air to flow and make sure they are properly watered. A lot of the products on the market are designed to prevent mildew from growing, so what can you do once it has begun to destroy your landscape? Well, one of the best things you can do is to try and rinse the flowers off. If the mildew hasn’t totally settled in then it should rinse right off. The next thing you can do is use a little Neem oil from India. It’s a great little disease control effort. It also works to benefit helpful insects while keeping the bad ones away. Give it a try. Ready to get rid of that troublesome mildew? This entry was posted on Wednesday, May 20th, 2015	at 2:36 pm	and is filed under Landscaping Maintenance	. You can follow any responses to this entry through the RSS 2.0	feed. Both comments and pings are currently closed.